Recently I went to a lecture. JacquesDerrida and the Philosophy of Language. As the lecturer shuffled in clasping his notes I got a little bit worried. Was this all going to be above my head? I have very little knowledge of Philosophy except what I’ve learned from a Monty Python Song. The lecture started a bit dryly, with the octogenarian gentlemen getting to grips with his notes and rejecting the lapel microphone. In the end it was a great mind stretching journey through ideas of words and deconstruction. There was so much that I could apply to my work at Get Carter Productions! How words can mean different things to different people. Where culture and background can dictate how you “receive” and “deconstruct” words to give them meaning. I was fascinated by the idea that a simple word could be loaded with so much meaning by the recipient… and could only be given meaning by more words which again could be perceived in completely different way by another person. When we write radio ads we can play games with language, we can create humour and pictures in people’s heads. We can play amazing “tricks” on the imagination so you believe you’ve seen the product even if you’ve only heard the sound! But the sales message… the call to action… must leave no room for ambiguity. Now you’ve heard the ad, this is what we want you to do. 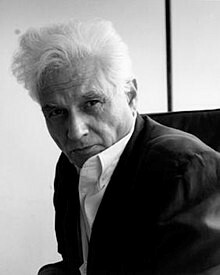 I have more to learn about Derrida but I left the lecture with my head buzzing in a very nice and satisfying way. It felt like a refreshing work out for the mind. 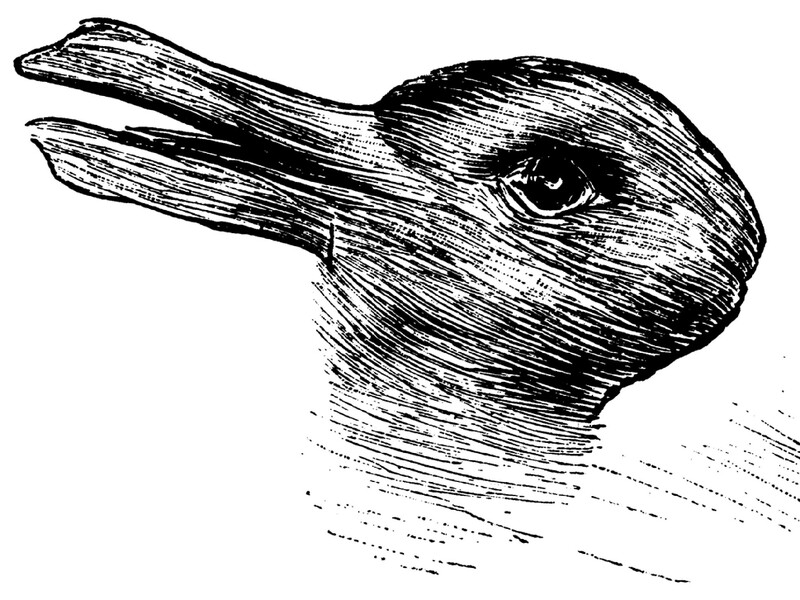 An illusion from the lecture: If you had never seen a duck, or had a word for it, you could only see the rabbit.